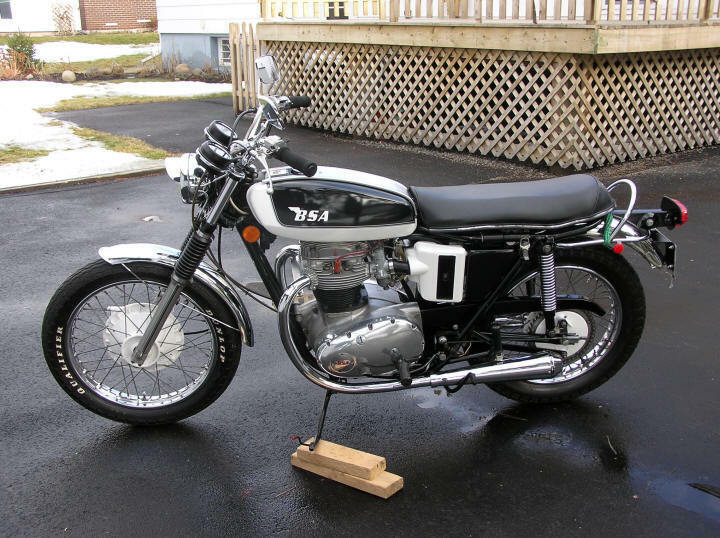 1971, BSA ‘FIREBIRD’, 650cc TWIN. 27,130 MILES (REBUILD AT 11,700 MILES). STORED IN HEATED GARAGE, ENTHUSIASTICALLY MAINTAINED AND CARED-FOR. MANY UPGRADES INCLUDING; PAINT, BARNETT CLUTCH PLATES, THREE PHASE ALTERNATOR/ROTOR AND ‘POWER PACK’ (REPLACES THE RECTIFIER AND ZENNER DIODE), NEW REAR SHOCKS, SPROCKETS AND REAR CHAIN, NEW TIRES. SERVICE AND PARTS MANUALS.